The work done by Joan Miro during the Spanish Civil War has a special meaning and meaning. In Paris, the great artist began to attend drawing lessons at the school of Grand Shaumier, and learned a special technique of performance. 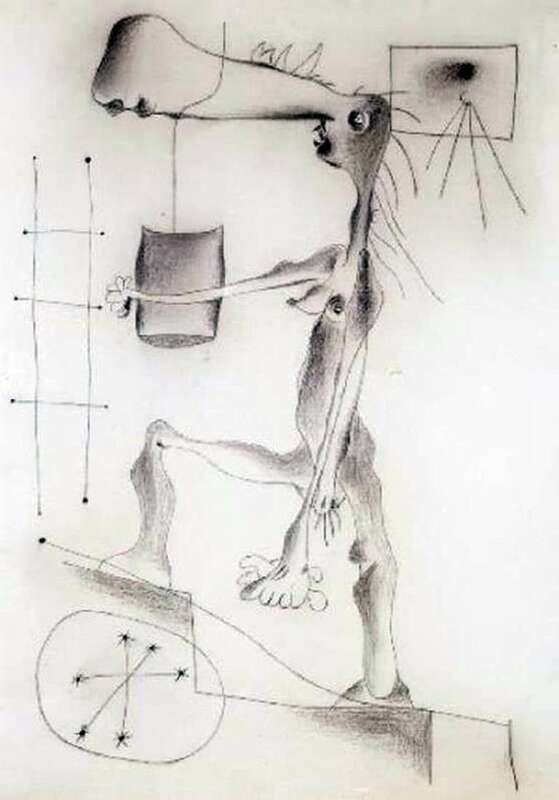 Miro restored the idea of ​​a human figure at the time when he blamed his country for the events. This feeling can be seen through the tortured shape of this naked woman, climbing the stairs. A well-known artist presented a woman who is part of this tormented society and represents a unique personality capable of changing the mood of society with his actions. The work shows a woman painted with great realism and drama, with an exaggerated big nose where small bulges or horns appear. The artist sought to show all the deformities and realities of the human soul. The horns and shabby appearance show an internal ugliness and alarm signal. Below on the right, the view of the window or box into which the sun’s rays show that there is a way out of any situation, you just need to make an effort and find salvation. A woman holds out her right hand, trying to take the ladder, a symbol that means going out into the light, freedom. As soon as a person discards his doubts and fears, will open up to new knowledge, only then can we talk about a revolution in the consciousness of society.